In the 1940s to 1980s, there may have also been an exploration into creating Swiss Army-style knives that were made in Mexico. 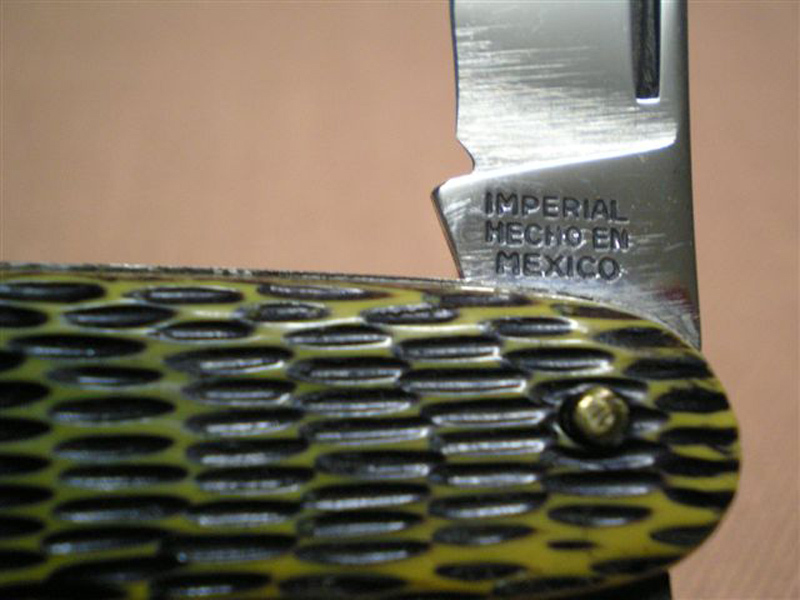 The Schrade Collector’s Site even has an image of a few models that say “Imperial Hecho en Mexico,” though the true story behind these knives is unverified. 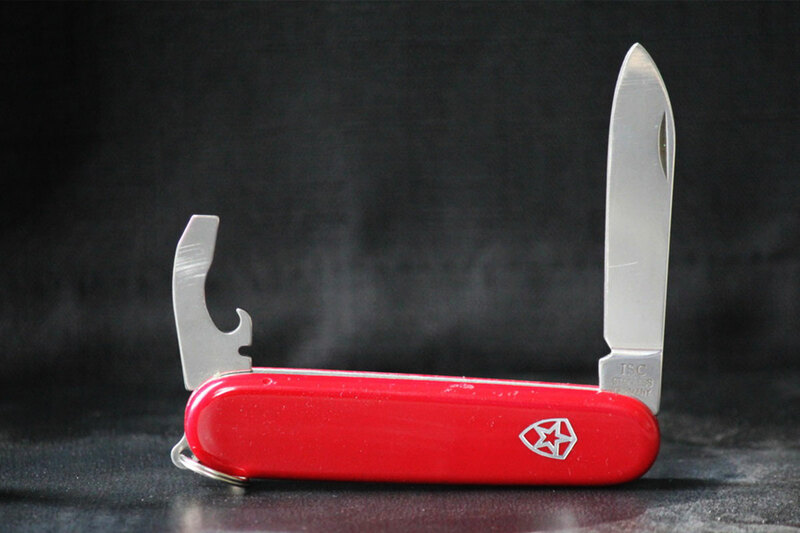 But it seems like Baer wanted to develop something that could be widely produced and compete more directly with Victorinox and Wenger. 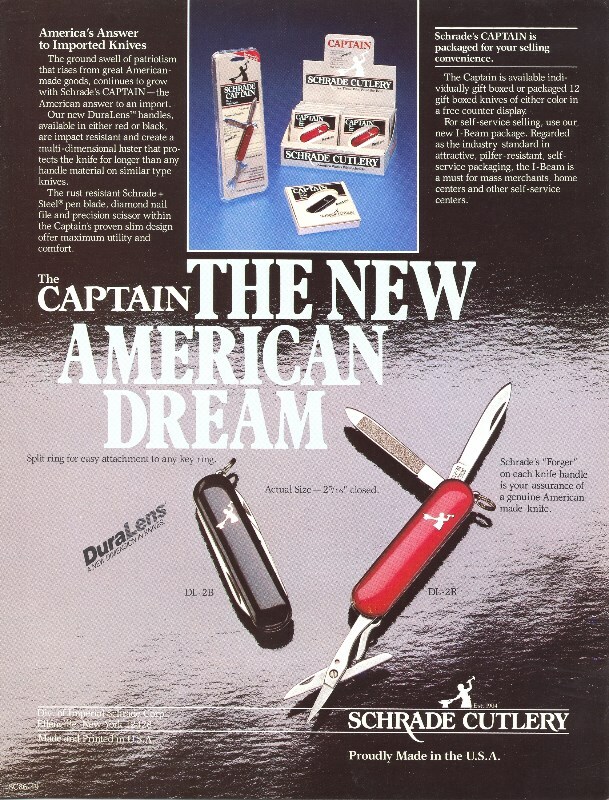 In the late 1980s, Schrade introduced two knives that look similar to the Victorinox Classic. 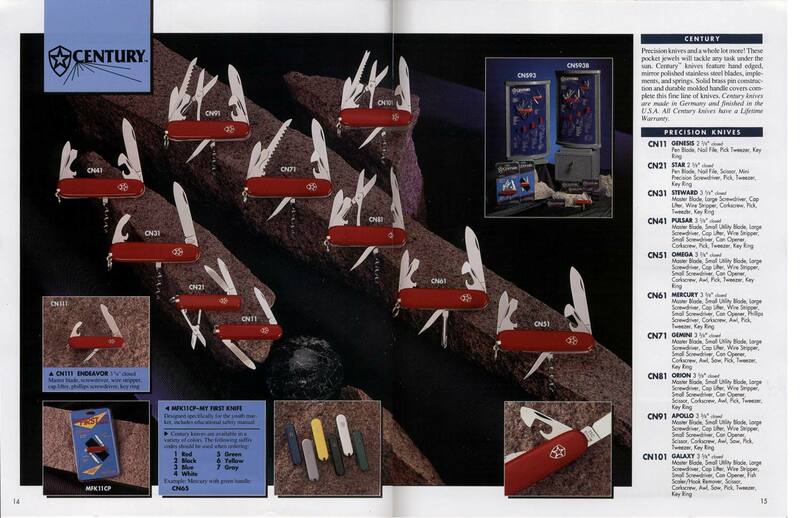 These were small multitools with scissors that came in black or red and were both called Captains (you can see them in the 1990 catalog). 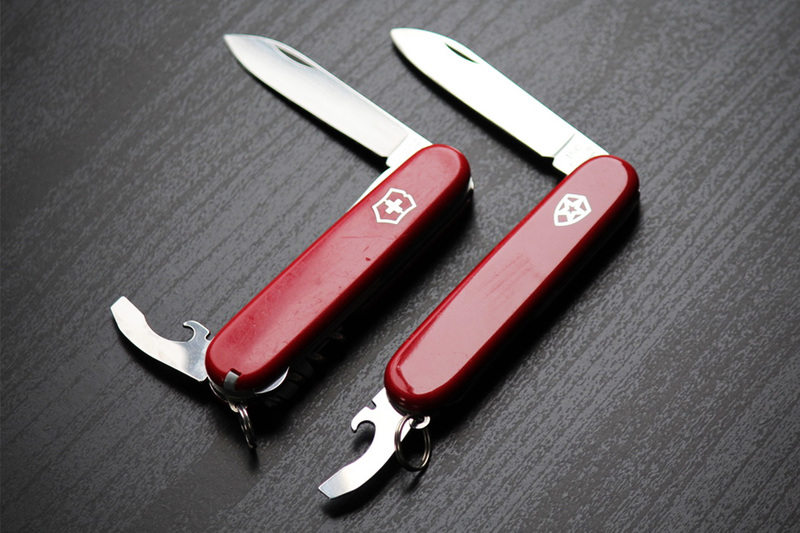 These were made in the United States and were marketed as America’s answer to imported knives — which likely indirectly meant Victorinox and Wenger. 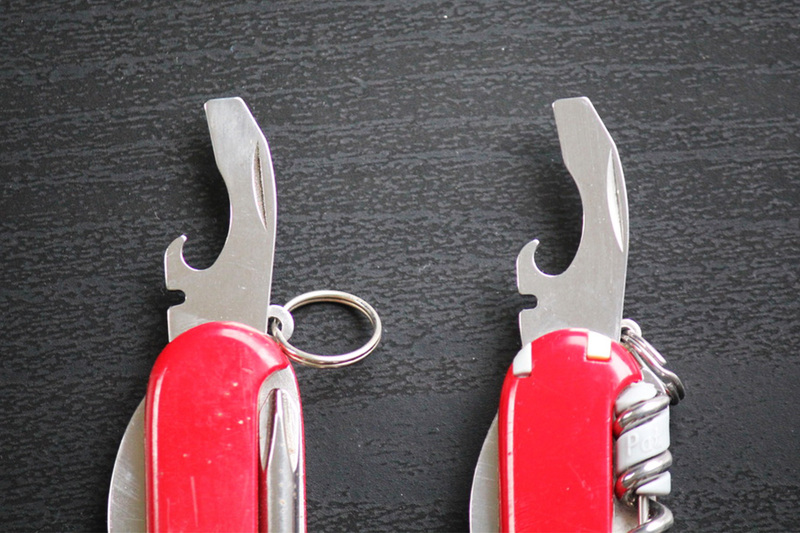 Funny enough, the Captains featured similar but not identical appearances to Victorinox. Instead of the shield, these knives had an image of a blacksmith with a hammer and anvil (the old Schrade logo). Because they were made in the United States, they were not as cost efficient to make, so they didn’t last long. According to the article in Knife Magazine, Baer contacted two Swiss guys with knowledge of the knife industry to advise about making the Schrade Swiss Army Knives happen. To keep costs low, Baer then used a facility in Germany previously used by Schrade to make the parts and send them to Ellenville, New York, for assembly. They were part of the company’s international operation. The result was the official Century series. All of the knives in the series looked, worked, and felt like a Victorinox Swiss Army Knife. Here is an old advertisement featuring most the Century line. I wanted to get my hands on one, so I checked eBay. After briefly searching on eBay, I managed to pick one up for $3 for a comparison. There were some in better conditions and more robust patterns, but I figured this one would do. That’s a Victorinox Compact next to an Imperial Schrade Corporation Century Endeavor. 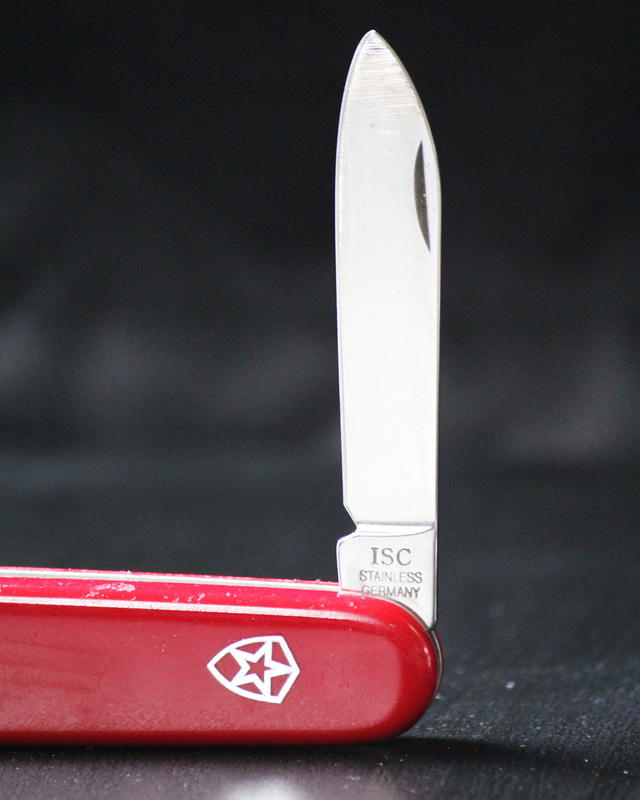 The Endeavor was one of the most basic models from ISC with a blade, a combo tool (bottle/can opener), and a screwdriver. 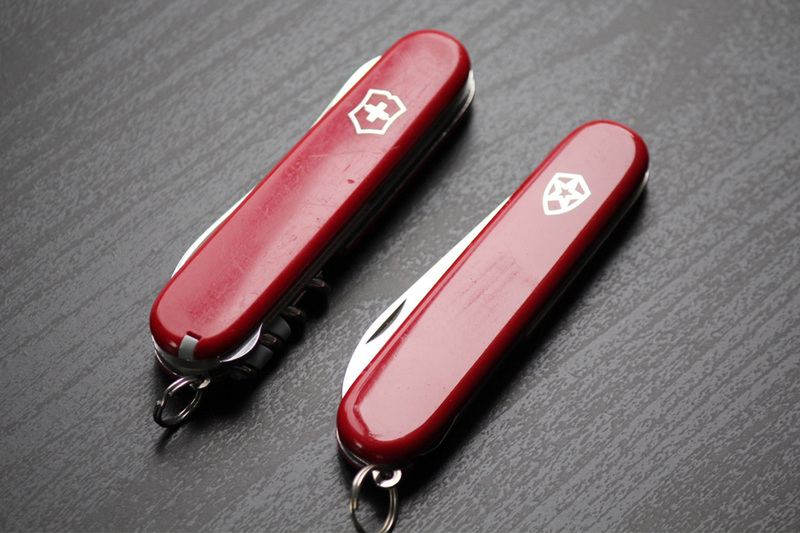 Except for the logo (one being the Swiss emblem and the other being a star within a shield), the two knives are almost indistinguishable. The scales on both of these users appear to be the same red and same cellidor material. The combo tools feature the same design. Even the blades are the same. However, the blade on the Endeavor appears to have been sharpened a bit too much to create a slightly different shape. It’s almost remarkable that Schrade was able to get away with such a nearly identical copy, especially considering how many people frown upon stolen designs these days. 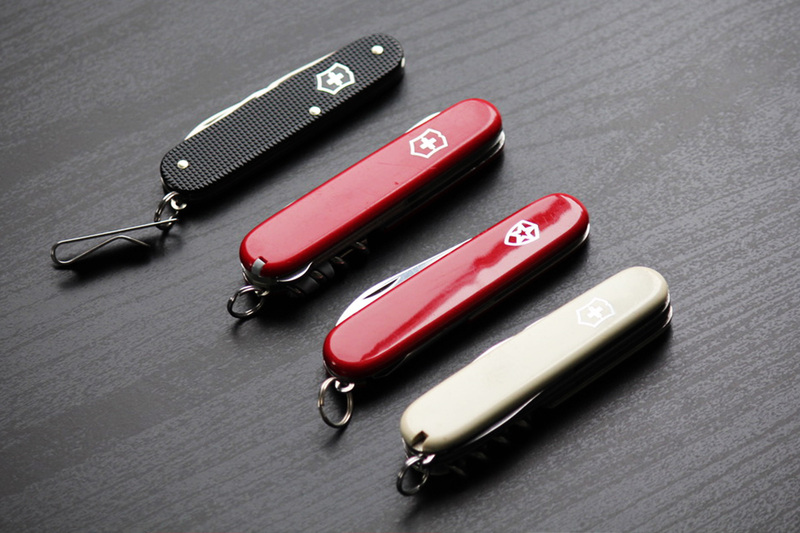 Some even speculate this these were designed in cooperation with Victorinox, but nothing I have found indicates so. I wasn’t able to find information about the price of Victorinox models in those days, but the Century series ranged from about $13 to $50 — with the Endeavor being $20 upon its release. This pricing sounds competitive to me. Here are a few Swiss Army Knives next to the Century. After less than a decade in production, the Century Series from the Imperial Schrade Corporation was discontinued — with the last year in production being 1999, according to a knife historian on Blade Forums. The reason behind the discontinuation is not entirely clear, though there are likely a few reasons. In 1997, Albert Baer died at the age of 92. Although his wife Karla Baer took over, the Century Series seemed like it was more of a passion project from Albert. On top of that, the knife historian on Blade Forums suggests that there were increasing costs of doing business with Germany and rising costs in general. Around that time, the company began to focus on less expensive knives. Schrade would later close its doors in 2004, so I doubt the series would have survived much longer either way. I’m sure there were more twists and turns to this story, and I could have gone off on a lot of tangents, but this was just a small snippet of interesting knife history that the article in Knife Magazine prompted. Again, I highly recommend subscribing to the magazine for more great knife history.